Nothing gets us into to the holiday mood quicker than the start of holiday baking in our kitchen. The aromas of cinnamon, nutmeg and spice fill our home with an inviting scent that reflects the joy and warmth of the Christmas season. We're not really expert bakers, but we have lots of fun in the kitchen and it's definitely a great way for us to bond after a long and busy week. 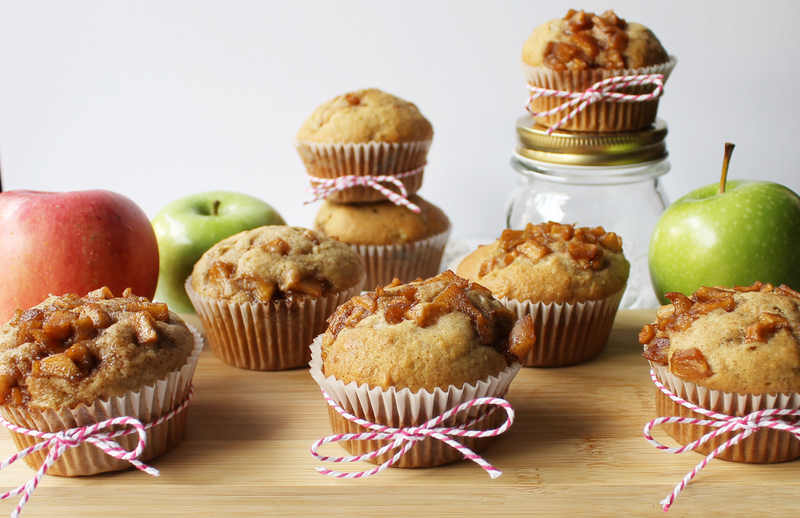 We tried out this delicious recipe for apple banana muffins and it turned out really well, so we decided to share it with all of you! Preheat the oven to 350F. Lightly grease your muffin tin with butter and flour, or use paper liners. 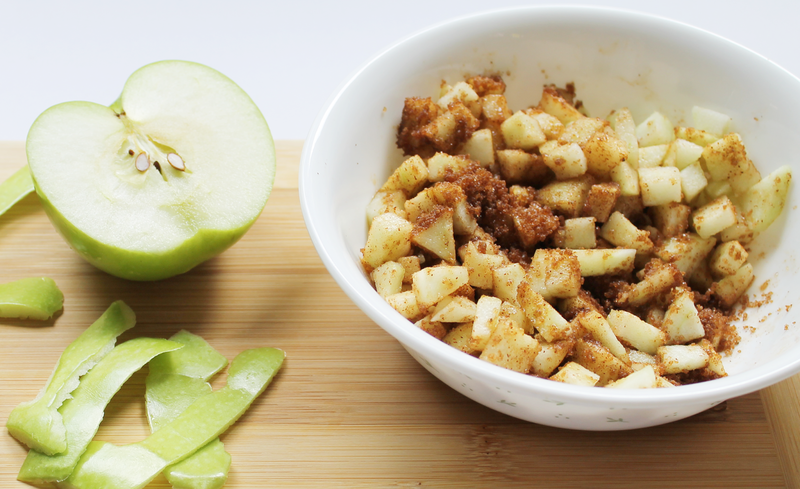 Combine apples, cinnamon and sugar and let stand for 5 minutes. On medium high heat, melt butter in a skillet until bubbling. Add apples and saute until golden and tender, about 8 minutes. Add in vanilla and set aside to cool. In a medium bowl, whisk together flour, baking soda, cinnamon, nutmeg, cloves and salt. In the bowl of an electric mixer fitted with a paddle attachment, pour in apple sauce and sugar and mix until well combined. Add in eggs, one at a time, mixing well after each addition. Scrape down the sides of the bowl. In a small bowl, combine orange juice and vanilla. Add flour mixture into the apple sauce mixture in three batches, alternating with orange juice mixture, combining well after each addition. Stir in mashed bananas, then mix in apples, reserving about 3/4 cup to be used as topping. 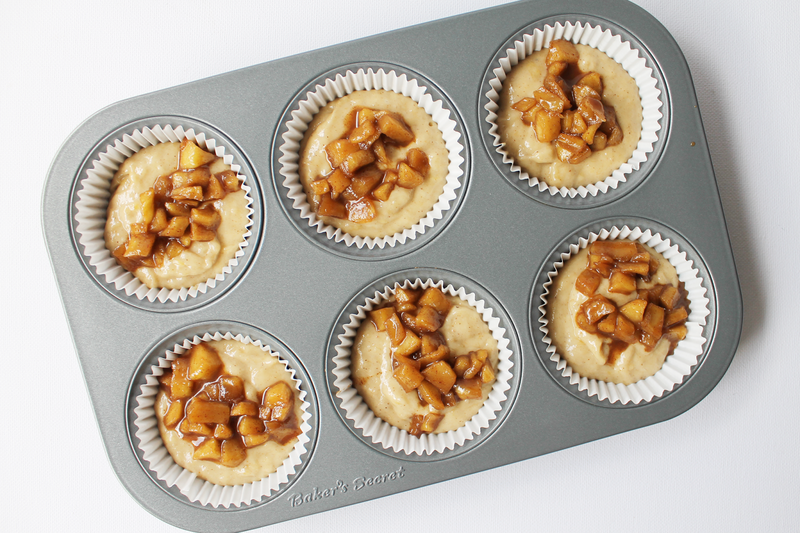 Pour batter into your prepared muffin tins and top each with about a teaspoon of the reserved apples. Bake for 20 to 25 minutes or until wooden pick inserted in the center comes out clean. Let cool 20 minutes before unmolding onto a wire rack to cool further. Serve slightly warm or at room temperature. 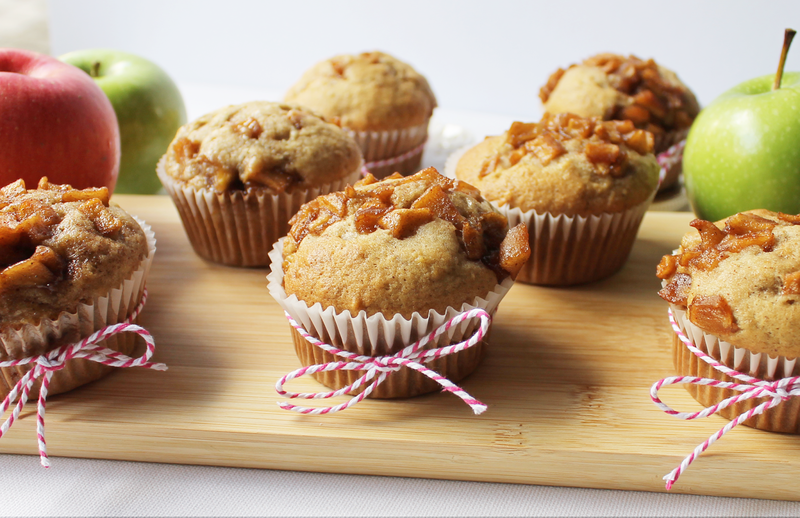 Wrap muffins in plastic wrap for 2-3 days at room temperature or freeze well wrapped in aluminum foil or plastic for up to 3 weeks. She Said: I really enjoy baking with Bianca and testing recipes that we find online. The part I don't like is cleaning up all the mess that we make after cooking!